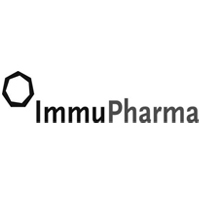 Immupharma Plc (LON:IMM) Chairman, Tim McCarthy talks to DirectorsTalk about its Lupuzor market update. Tim explains the main points to the update, the importance of reaching a milestone where all patients have been dosed for over three months, the importance of announcements to shareholders and confidence of providing top line results in Q1 2018. Lupuzor™ (also referred to as Forigerimod, or P140) is ImmuPharma’s lead compound and a potential treatment for lupus (or Systemic Lupus Erythematosus), a chronic, potentially life-threatening auto-immune disease. Lupuzor™ has a novel mechanism of action aimed at modulating the body’s immune system so that it does not attack healthy cells, and avoids causing adverse side effects. It has the potential to halt the progression of the disease in a substantial proportion of patients. Lupuzor™ has been granted Fast Track status by the US FDA and approval to start Phase III under Special Protocol Assessment (SPA). This SPA was subsequently amended due to its strong safety and efficacy profile to allow for a reduced number of patients in the pivotal Phase III trial thereby reducing the projected cost and time of development considerably. The pivotal Phase III clinical study is entitled “A 52-Week, Randomized, Double-Blind, Parallel-Group, Placebo-Controlled Study to Evaluate the Efficacy and Safety of a 200-mcg Dose of IPP-201101 Plus Standard of Care in Patients With Systemic Lupus Erythematosus”. It is a pivotal study designed to demonstrate the safety and efficacy of IPP-201101 and as a last step prior to the filing of the drug for approval with the US Food & Drug Administration (“FDA”) and the European Medicines Agency (“EMA”).